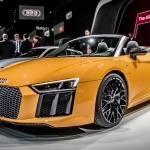 If the image above looks familiar, it’s because it looks pretty much like the Audi R8 V10 Plus that was unveiled back in 2013 in Detroit. 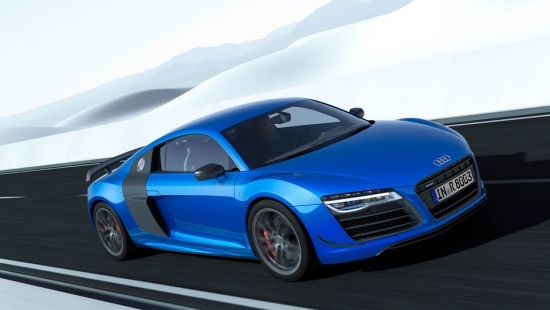 However, today Audi is unveiling another blue R8 with one slight exterior difference, the headlights. 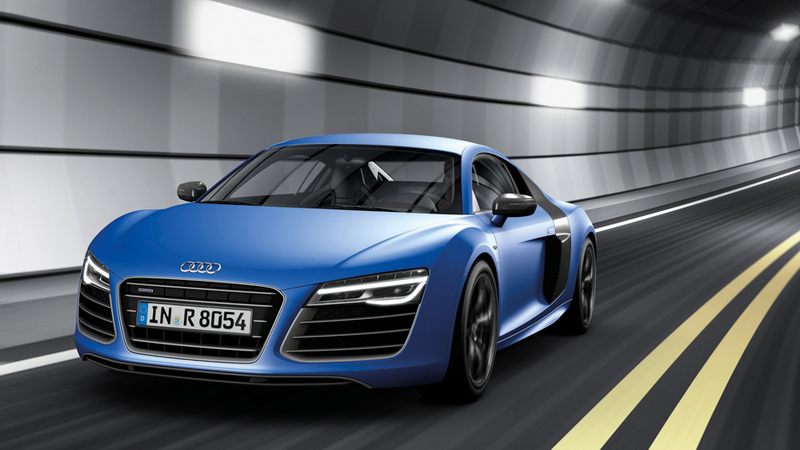 The Audi R8 LMX is the world’s first production car with laser high beams just barely beating the BMW i8 to production. With the new laser powered high beams, a laser module on each headlight generates a cone of bright light that reaches twice as far as the standard LED headlights. Each laser module contains four high-powered laser diodes that generate a blue laser just 300 micrometers wide. Running the blue laser through a phosphor converter results in a beam of light with a 5500K color temperature. The laser high beam is activated at speeds above 60 km/h and will supplement, not replace the LED high beams. If you’re wondering about lasers blinding oncoming drivers, the system also includes an intelligent camera-based sensor that detects oncoming traffic and actively adjusts the light pattern to exclude them. Under the hood the R8 LMX gets an additional 20 horsepower bump over the R8 V10 Plus for a total of 570 horsepower and 398 lb-ft of torque. Interestingly enough the 0-100km/h time remain at 3.4 seconds and fuel consumption is unchanged at 12.9L/100km. Power is delivered through a 7-speed dual clutch S tronic transmission. The R8 LMX also comes with an exclusive set of 19″ wheels wrapped with 235 and 305 width front and rear tires respectively. 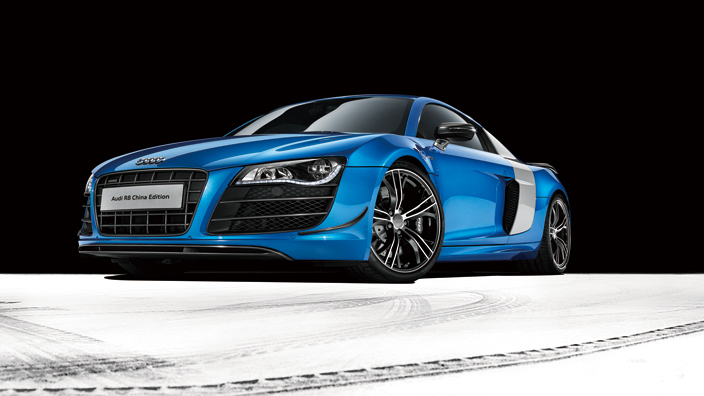 The Audi R8 LMX will be available only in coupe form and will be limited to only 99 copies, all of which will be painted in Ara Blue. Carbon fiber will adorn many parts of the R8 LMX including the front spoiler lip, front splitters (flics), engine cover, sideblades, rear wing and rear diffuser. The black interior will also feature blue accents, check out the gallery to see it for yourself as we won’t be seeing any in North America. If you live in Europe and are interested in one, it’ll set you back a cool 210,000 euros.